On Saturday 22nd May 2010 at 19.30. 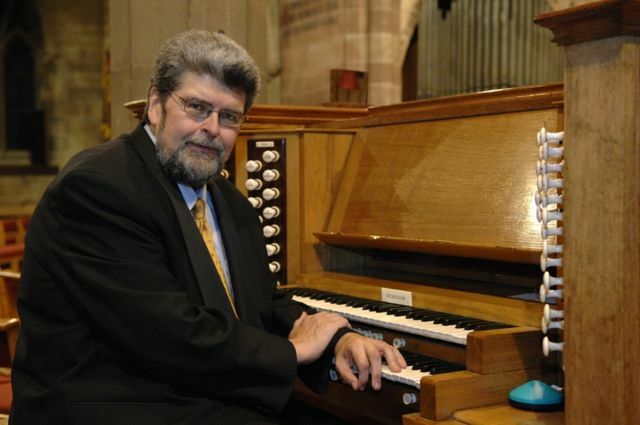 Carlo Curley, the International Concert Organist, will be giving an organ concert at the church of St Mary The Virgin, Godmanchester. 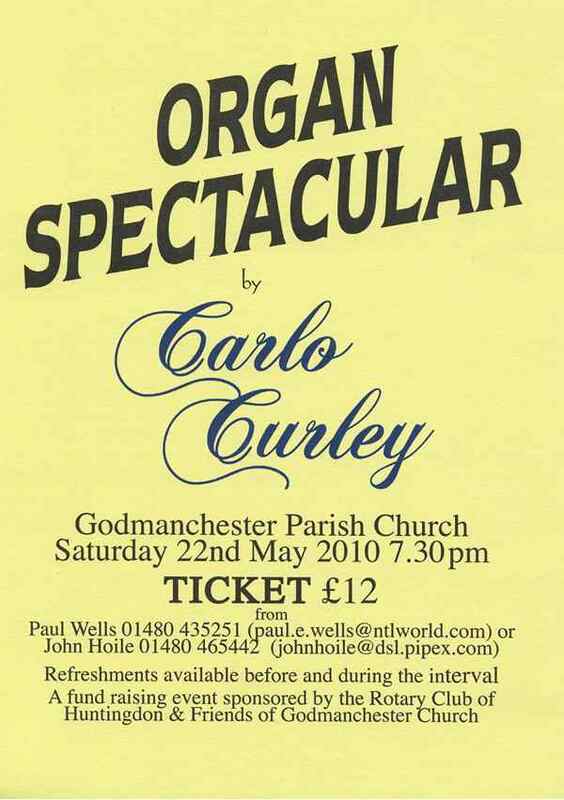 Carlo is one of only a few organists in the world to give organ concerts, unsupported by a teaching or church appointment. Details of the program will be announced later but it will be sure to include many popular pieces. Specially for the concert, a 'state of the art' 58 stop, 232 voice, three manual, Allen Quantum Q345 digital organ has been hired which will produce a fantastic sound and will be sited on the Nave Altar platform. In addition to being a supreme musician, Carlo is also an engaging and witty raconteur, which makes his concerts that little bit different and special. Tickets will be available early February from Paul Wells (01480 435251) or John Bathurst-Hoile (01480 465442 and all priced at £12.00. 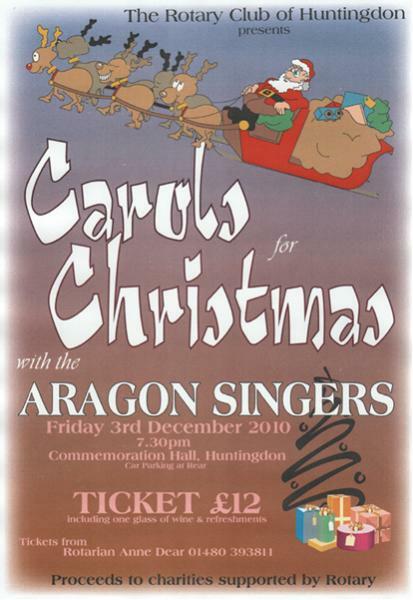 Refreshments will be available before the concert and during the interval and there will be plenty of time before the concert, during the interval and at the end, to meet Carlo and buy his CDs or DVDs. 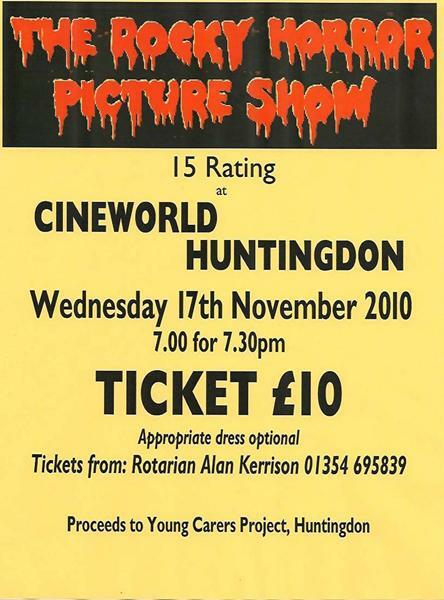 This event is being sponsored jointly by the Rotary Club of Huntingdon and Friends of Godmanchester Church and the proceeds will be divided equally.